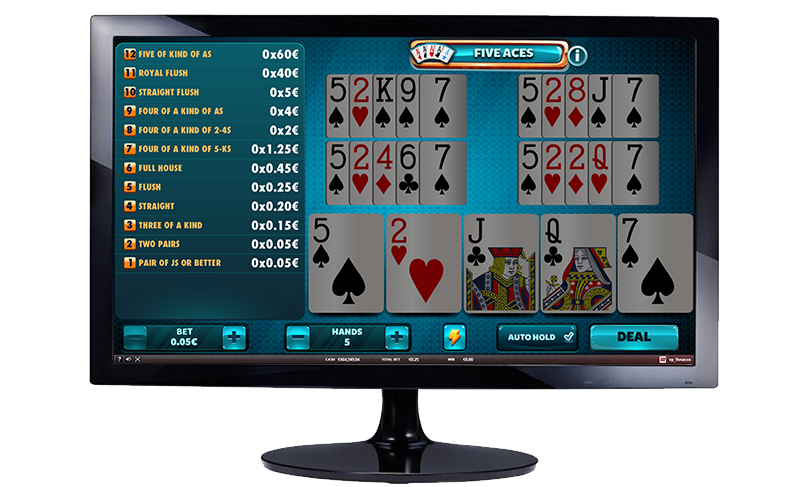 A curious form of Video Poker where you will have an extra card, an Ace without a suit. 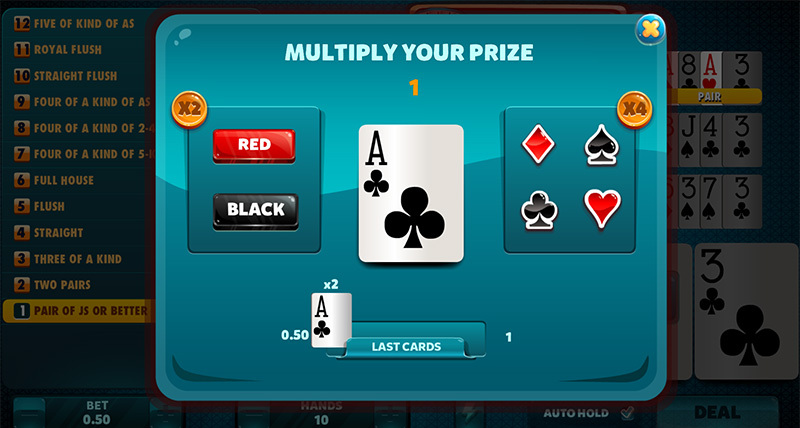 Use it to form hands that do not need a specific suit and win your prize! 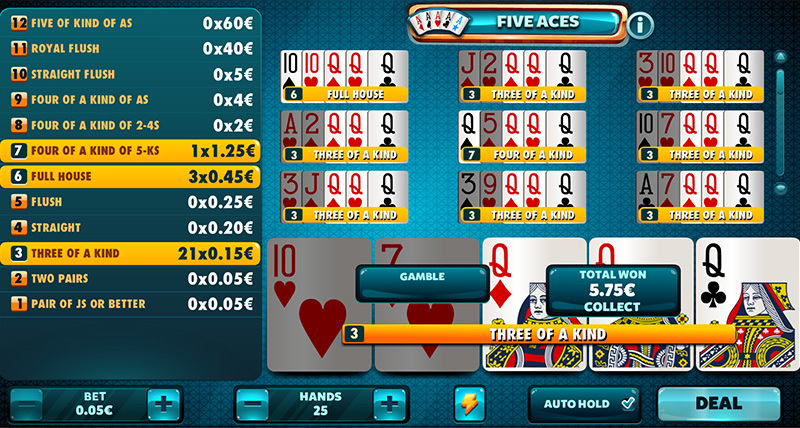 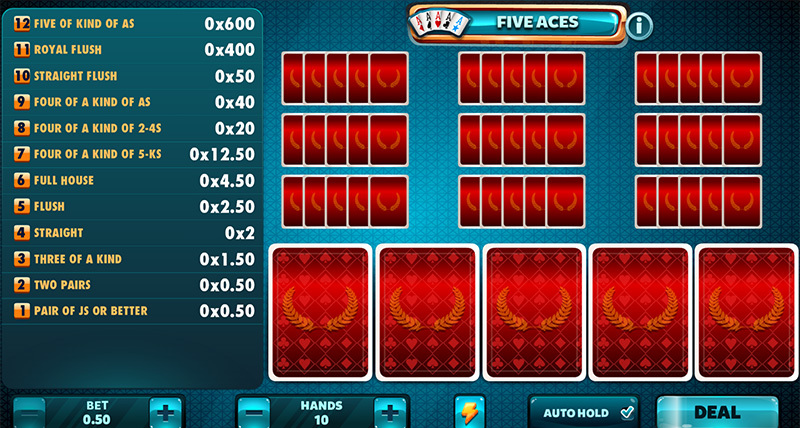 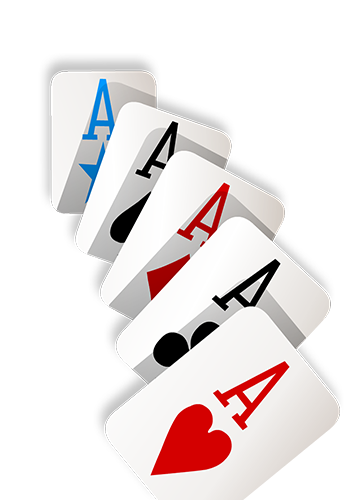 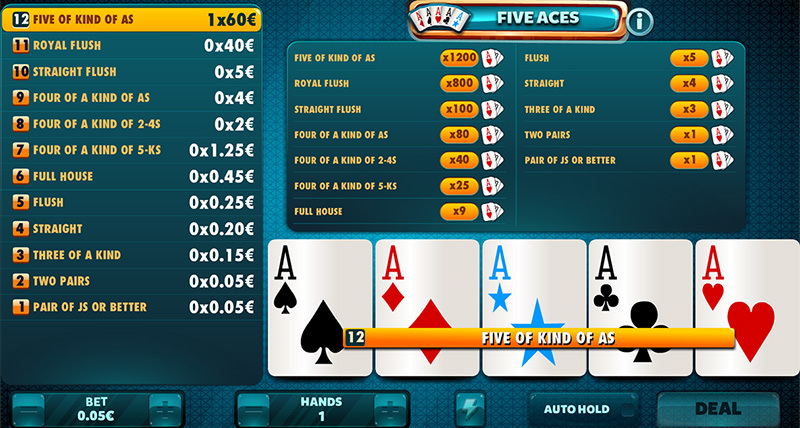 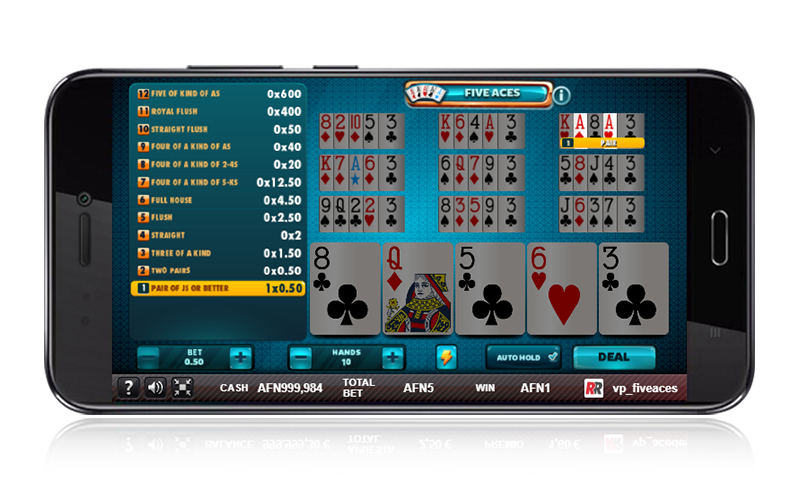 Five Aces Bonus Poker: Five aces in order to facilitate your combinations. 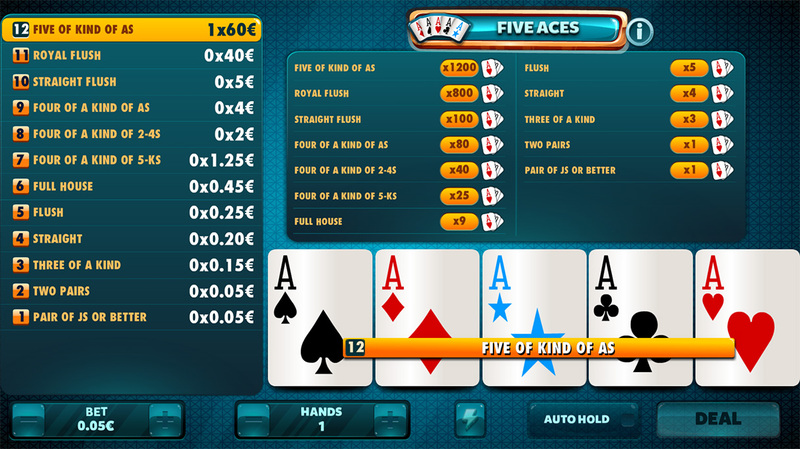 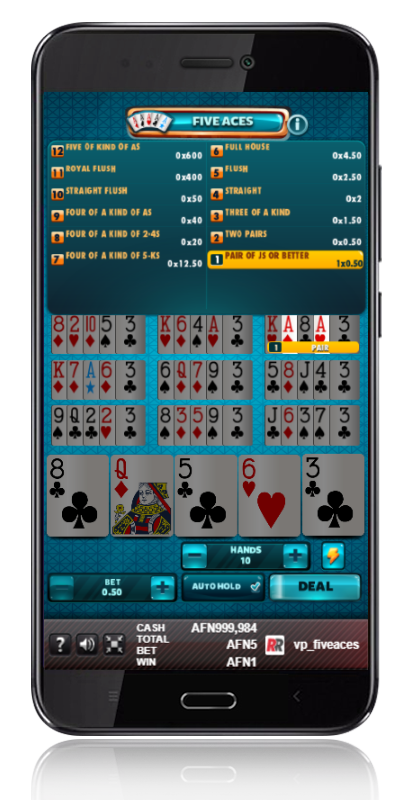 Five Aces Bonus Poker: Any hand equal to or higher than a pair of Js will have a prize.